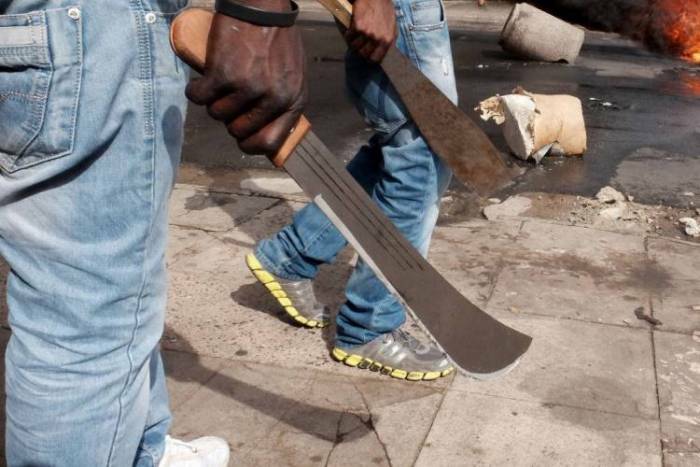 Ijebu Igbo in Ijebu North Local Government Area of Ogun State, was, again, thrown into a frenzy as suspected cultists killed one person yesterday. The attack came barely a week after cult clash claimed six lives in the town. Yesterday’s incident, Daily Sun gathered, occurred after an argument ensued during a football match at LA Primary School, Oke-Agbo, area of the town. According to a source, the victim, whose identity could not be ascertained as at the time of filing this report, was chased by suspected members of Eiye Confraternity to where he was hacked to death. The assailants were said to have fled the scene after killing their victim. “The incident happened this (Sunday) afternoon, when some youths were playing football. It was during the match that some of them engaged in serious argument, and before anyone knew what was happening, the whole place had been on rampage. When contacted, Police Public Relations Officer, Abimbola Oyeyemi, confirmed the killing, but said normalcy had been restored to the town. Oyeyemi, however, said the police command had deployed operatives to the town to apprehend the perpetrators and curb further loss of lives. He said no suspect had been arrested in connection with the incident.